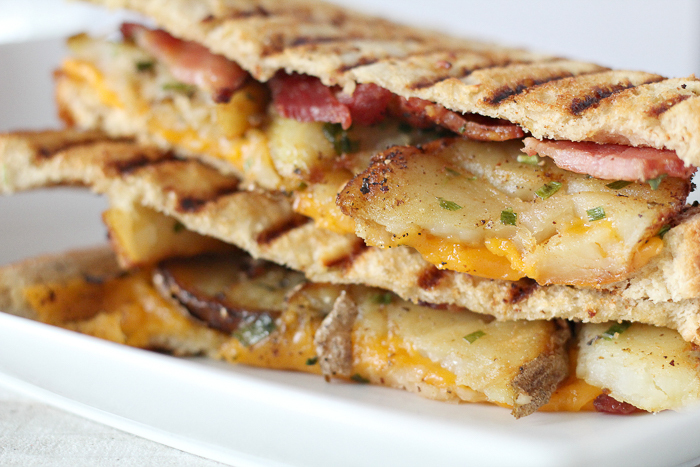 You are here: Home » recipes » The Best Grilled Cheese Recipe with Bacon! 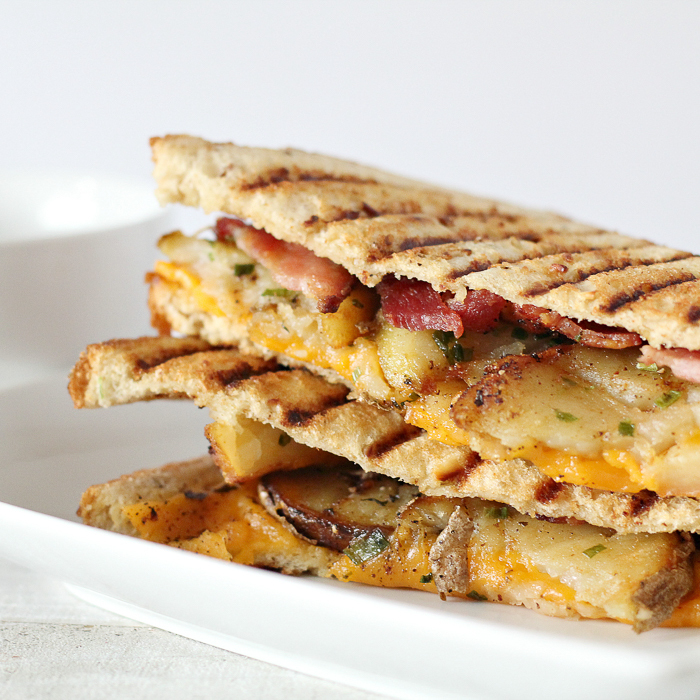 The Best Grilled Cheese Recipe with Bacon! Y’all, the best grilled cheese recipe is just a few minutes away from your mouth. You will want to whip up this delectable treat for lunch or even as a quick supper. After all, you can’t go wrong with bacon! 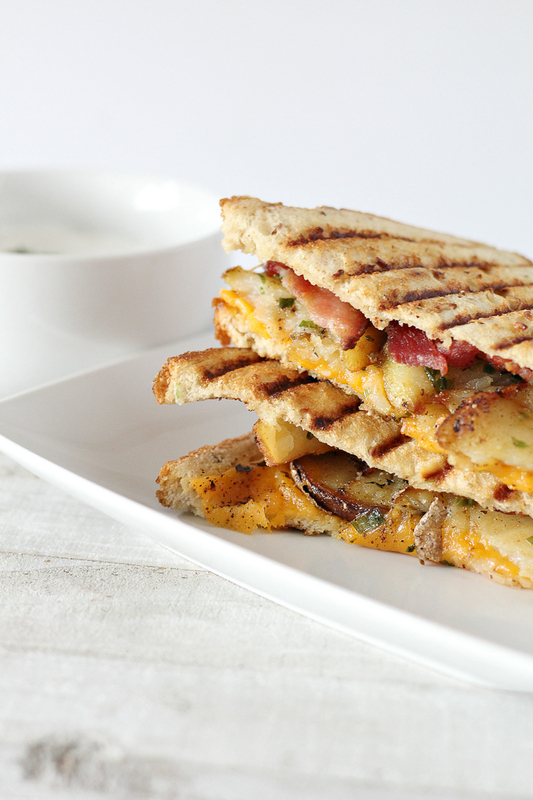 Now, dive into one of these sandwiches and enjoy this loaded baked potato grilled cheese. Start by cleaning and slicing your potato into roughly 1/4 inch slices. Fill the bottom of your skillet with oil, about 1/2 inch deep, and heat up. Throw in your potato slices. Then dash each slice with pepper, onion powder, garlic powder, salt, and parsley. Let them cook for about 2 -3 minutes (until golden) and flip. Repeat steps 3 and 4 with the opposite side of potatoes. Once both sides of potatoes are golden brown, place them on a plate. Now it is time to build the best grilled cheese recipe. Start with a slice of bread then add cheddar cheese, potatoes, a sprinkle of chives, bacon, and finally your other slice of bread. Then clean your skillet and spray with non-stick cooking spray. Grill your sandwich on each side until golden brown, as shown. Then serve and enjoy! 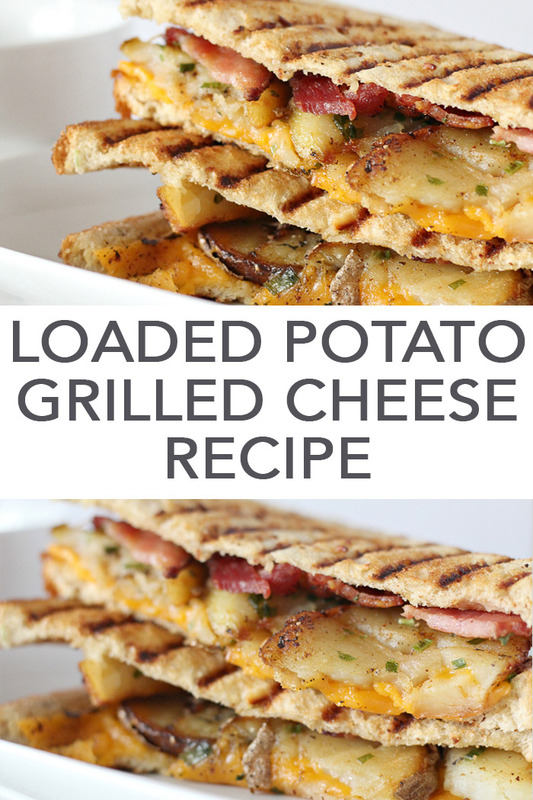 You never have to have a plain grilled cheese sandwich again! Now you have the best grilled cheese recipe and it has bacon. Um…that is a win-win y’all. My mouth is watering just looking at these pictures. I might just have to go in and whip myself up one right now! Who will you make the best grilled cheese recipe for? Make sure it is someone extra special! Love this recipe and want more ideas? Try the links below! Want to print this best grilled cheese recipe? Try the recipe card below!